Disasteroids may appear as an ad on your browser program. Keep in mind that this potentially unwanted program (PUP) has sole intention of gaining profit over the Internet. It is installed as add-on or extension to popular browsers like Internet Explorer, Google Chrome, and Mozilla Firefox. On Internet Explorer, Disasteroids adware starts as Browser Helper Object which is quite difficult to stop once it starts running. This adware aims to promote browser-based game that carries the same title. In the process, it will presents other games and programs from the same developer. Disasteroids code gets installed on the computer through third-party apps coming from various sources. Programs where this adware is packed is similarly hosted on various reputable web sites, thus you must take extra caution when installing freeware or shareware. 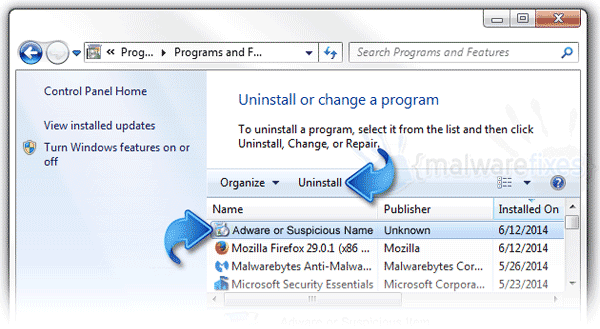 Once inside Windows system, Disasteroids adware alters settings on the browser. It drops add-ons and extensions that may result to manipulation of search results. Changes can also cause the Disasteroids ads to appear while you are surfing the net. As you can see, Disasteroids pop-up ads easily gets into the computer even without your permission. When you find it annoying and wanted to get rid of it, the adware will not allow you to perform such. Adware has locked itself onto your system and will require complex removal process to get deleted. 3. Look for and remove Disasteroids and relevant entries. If not present, look for any suspicious labels that was installed recently. 4. It searches for presence of harmful programs, plug-ins, add-ons, or any data that were found malicious and linked to “Ads by Disasteroids”. You need to Clean all items detected by this tool. After the previous scans, you may have deleted Disasteroids adware from the affected browser. This next step will ensure that no more module of adware will be left on the browser. This free tool scans and checks the browser for unwanted add-on and extension, and if found, Avast Browser Cleanup will give you a report and suggestion. 4. Avast Browser Cleanup will confirm before it permanently deletes the add-on. Please click Yes to proceed with the removal Disasteroids ads on the affected browser.